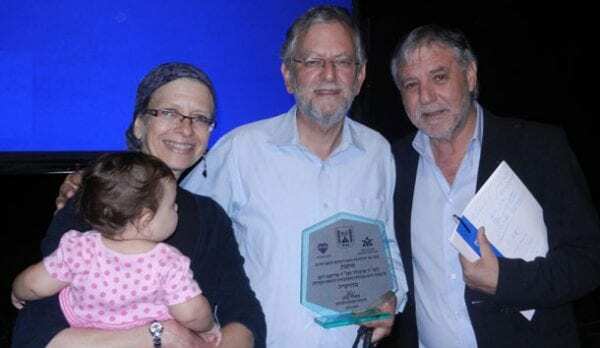 Keren Malki’s founders, Arnold and Frimet Roth, have been honored by the Israeli government for their continued service in helping children with special needs and their families. 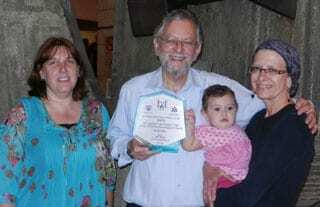 The Roths, originally from Melbourne but now based in Jerusalem have been awarded Israel’s Social Affairs Minister’s Shield for Volunteerism – Lifetime Achievement Award. The award was bestowed upon the Roths by the Minister for Social Affairs Meir Cohen at a moving ceremony held at the Jerusalem Theatre. Also in attendance were representatives of the ministry, other dignitaries, volunteer groups and individual volunteers. The ceremony included a short but heartwarming artistic program performed by the “Shiluvim” dance troupe of adults with special needs. When Arnold and Frimet lost their daughter Malka Roth z”l in a terrorist attack in 2001, they turned their grief into a conduit for giving, and within a month Keren Malki was created. From that moment on, Arnold and Frimet have been working tirelessly, on an entirely voluntary basis, to provide much needed assistance to families with severely disabled children. Their shared conviction that all children with disabilities deserve to be treated with love, compassion and respect motivates them to continue, even in the face of sometimes overwhelming challenges. Today, Arnold and Frimet were rightly recognized for their outstanding contribution to the field of special needs children. The title “Lifetime Achievement Award” is apt given their many years of service.